The company, founded by Donald Garner in 1953, was originally named Lexington Broom Works. Initially a manufacturer of industrial brooms, the Company later ventured into sweeping compounds and quickly expanded its geographic boundries to both Carolinas. It was at this time a formal name change to “Floor Sweep, Inc.” was made to establish a better name recognition for its primary products. 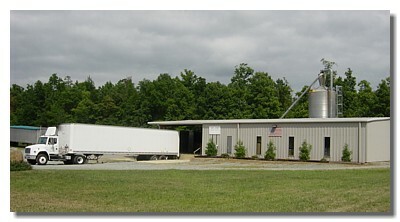 With rapid growth and expansion in mind, the original manufacturing facility located in Lexington, NC (View Map) was replaced with a new modern facility in 1997. FloorSweep, Inc. continues to be a family owned and operated enterprise and is now headed up by Robin Garner (a CPA and son of founder Don Garner). Loyal customers throughout the Southeastern United States continue to rely on Floor Sweep for it's superior product quality, competitive pricing, dependable delivery and outstanding customer service. Floor Sweep has earned, and is proud to be considered, an "industry leader" as a manufacturer of (wholesale only) floor sweeping compounds.